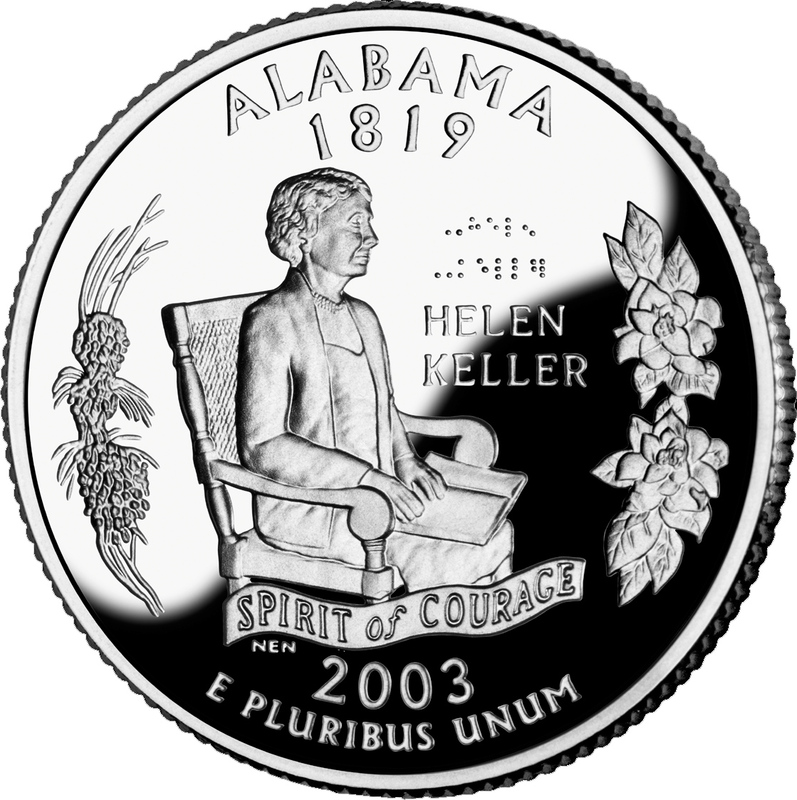 Alabama Quarter; features Helen Keller, Alabama's state tree and state flower. Photo by United States Mint/Wikipedia (Public Domain Image). A play that dramatizes the story of Helen Keller's early life as a deaf mute, and her teacher Anne Sullivan is recognized as the official state outdoor drama of Alabama ("The Miracle Worker" by William Gibson).